Elite Nails Hand, Foot and Body Spa: Spa Party Anyone? Spa parties are great, isn’t it? Who doesn’t like to go out and be pampered with a bunch of their friends anyway? Here at Elite Nails Spa, we make it possible for you to treat your girlfriends or loved ones to a fun pampering event without you having to spend so much. Forget the stress and all about preparation because we can already take care of that – from the invites, to your preferred theme and the customized treatments at low key prices. All you have to do is provide us the date and voila, you’re all set to one extra special party! 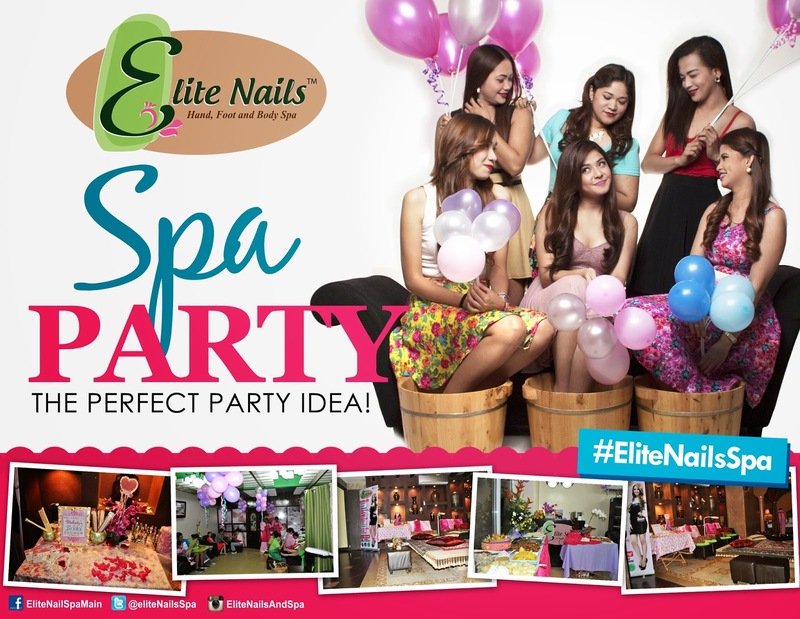 With Elite Nails’ Spa Party packages, you can now perk up your good old-fashioned bridal party into a day of fun and pampering having massage and facials or catch up and share giggles with your girl friends and colleagues over a stash of nail polish and nail arts or reunite with loved ones while experiencing a relaxing hand and foot spa. For booking and inquiries, you may call us through (02) 546 6607 / (63) 9178086951.